As I dive into the weird world of Wes Craven, I’ve come to realize that there was a title or two that I just couldn’t remember if I’d seen or not. 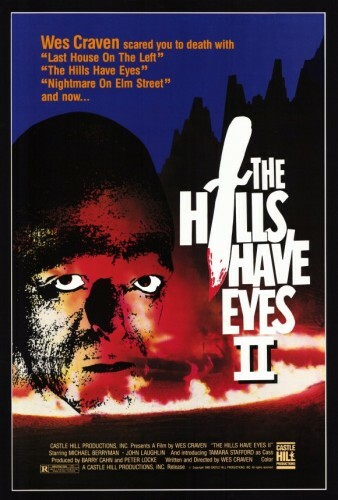 First up is The Hills Have Eyes Part II. I actually saw the two remakes before I watched the originals, and enjoyed them both. The original Hills Have Eyes was really good in an old school horror sort of way. It was gritty, shot for cheap, and so on. Having just watched Hills Have Eyes Part II, I understand why I wasn’t sure if I’d seen it before or not. A large portion of the film is made up of flashbacks. These flashbacks start off the movie, and it got to the point where I couldn’t understand why we were watching this stuff over and over, and yes, the story you hear about the dog having a flashback? All true. 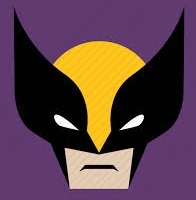 The redeeming factors of this film are few and far between. There’s one great shot of one of the females that shows her running through the dark with the only lighting coming from the headlights of the car chasing her. It’s scenes like that one that show that Craven knew what he was doing in the director’s chair. I’m constantly shown scenes, even in his weaker films, that have great lighting, strong angles, intense music, and the like. Even if you want to watch all of Wes Craven’s films, or are a huge ’80s horror fanatic, I still can’t recommend The Hills Have Eyes Part II. It’s a rough film that makes zero sense after the events of the first one, and the script is easily his weakest one yet. In interviews, Craven has pretty much disowned this film, and it is crystal clear why that is once you watch it.